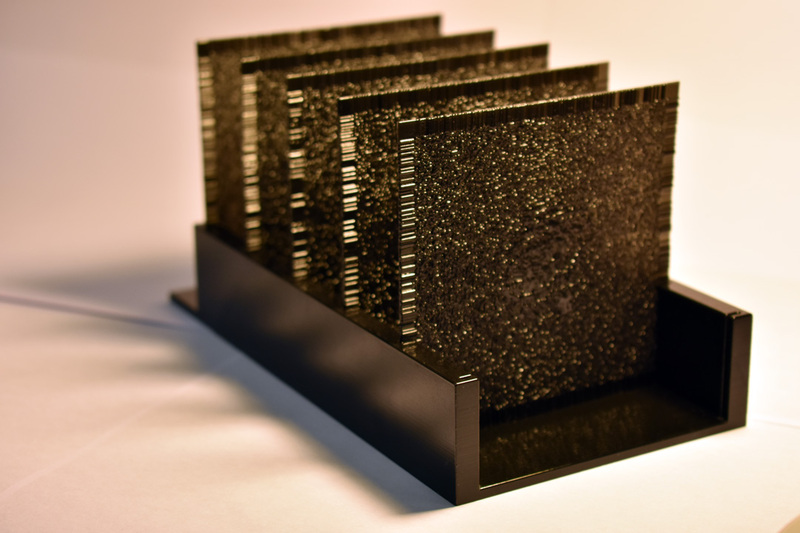 Engineers have 3D printed a physical artificial neural network that can analyze large volumes of data and identify objects at the actual speed of light. 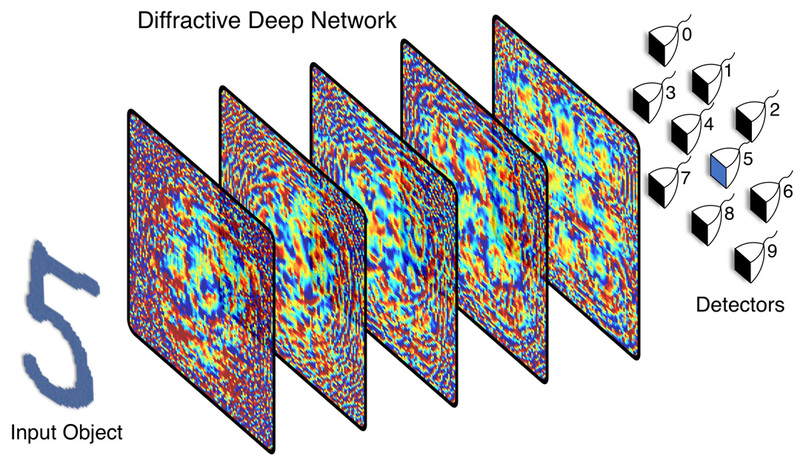 Developed at the UCLA Samueli School of Engineering the “diffractive deep neural network” uses the light bouncing from the object itself to identify that object in as little time as it would take for a computer to “see” the object. The device does not need advanced computing programs to process an image of the object and decide what the object is after its optical sensors pick it up. And no energy is consumed to run the device because it only uses diffraction of light. New technologies based on the device could be used to speed up data-intensive tasks. For example, the researchers say a driverless car using the technology could react instantaneously to a stop sign. According to the engineers, with a device based on the UCLA system, the car would see the sign as soon as the light from the sign hits it, as opposed to having to wait for the car’s camera to image the object and then use its computers to figure out what the object is. The process of creating the artificial neural network began with a computer-simulated design. Then the researchers used a 3D printer to create very thin, 8-centimeter-square polymer wafers. Each wafer has uneven surfaces, which help diffract light coming from the object in different directions. The layers look opaque to the eye but submillimeter-wavelength terahertz frequencies of light used in the experiments can travel through them. And each layer is composed of tens of thousands of artificial neurons – in this case, tiny pixels that the light travels through. In their experiments, the researchers demonstrated that the device could accurately identify handwritten numbers and items of clothing – both of which are commonly used tests in artificial intelligence studies. To do that, they placed images in front of a terahertz light source and let the device “see” those images through optical diffraction. They also trained the device to act as a lens that projects the image of an object placed in front of the optical network to the other side of it – much like how a typical camera lens works, but using artificial intelligence instead of physics. Because its components can be created by a 3D printer, the artificial neural network can be made with larger and additional layers, resulting in a device with hundreds of millions of artificial neurons. Those bigger devices could identify many more objects at the same time or perform more complex data analysis. And the components can be made inexpensively – the device created by the UCLA team could be reproduced for less than $50. Editor’s Note: This article was reprinted from UCLA’s Samueli School of Engineering.